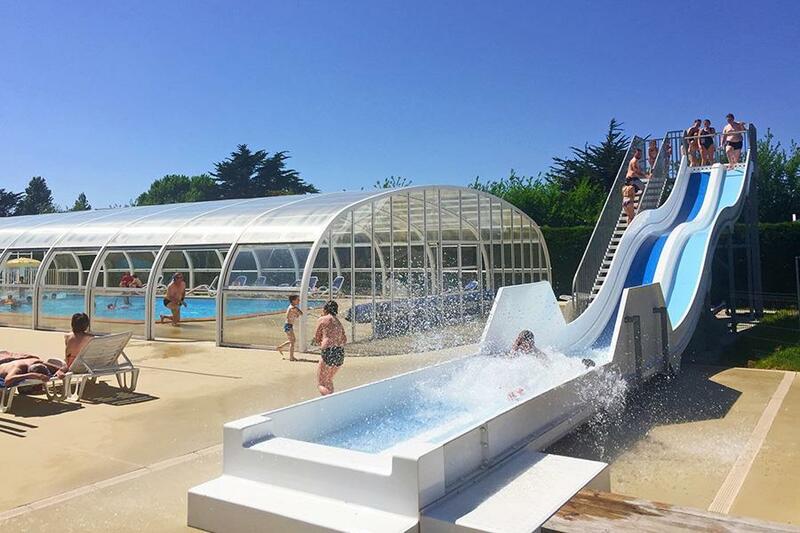 At Camping du Golf in Saint-Jean-de-la-Rivière (Manche) camping costs as little as €18,- per night during low season with CampingCard ACSI. At one of the 89 touring pitches you will get a discounted rate during the period 01-04-2019 - 06-07-2019 and 24-08-2019 - 30-09-2019. At this campsite you can not only use your CampingCard ACSI for inexpensive camping, you can also use your ACSI Club ID (as an alternative ID). A family campsite with large pitches, located 500 metres from the Normandy Beaches, opposite the Channel Islands of Guernsey and Jersey. Covered and heated swimming pool. Bar, restaurant, pizzeria and shop on site. Plenty of activities available. Would you like to book Camping du Golf or request more information? You can do both using the information below or by visiting the campsite's website. From Barneville-Carteret towards Barneville/St. Jean-de-la-Rivière. Signposted beyond there. CampingCard ACSI will send your information request to "Camping du Golf".